Since the fire at Redbridge Towers in April 2017, Southampton Independents have been campaigning for sprinklers to be compulsory. 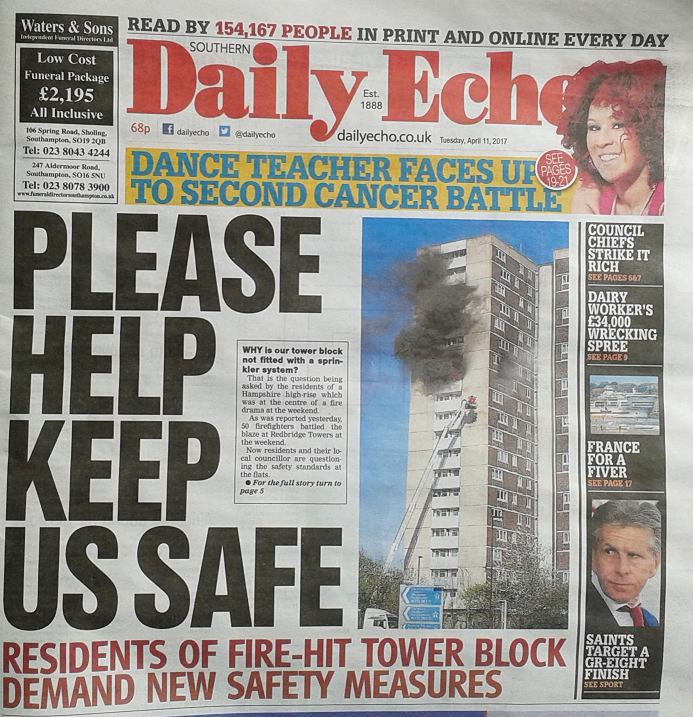 We listened to residents and acted for them, getting the issue on the front page of the Daily Echo and putting pressure on the Council. 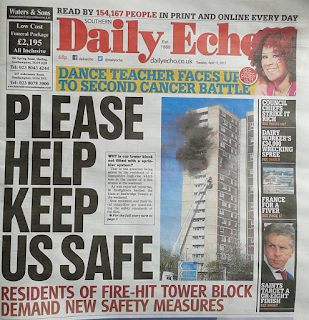 Our campaign to protect tower block residents has forced Southampton City Council to commit publicly to put sprinklers in ALL Council tower blocks. The Labour-run Council didn't want to do it. 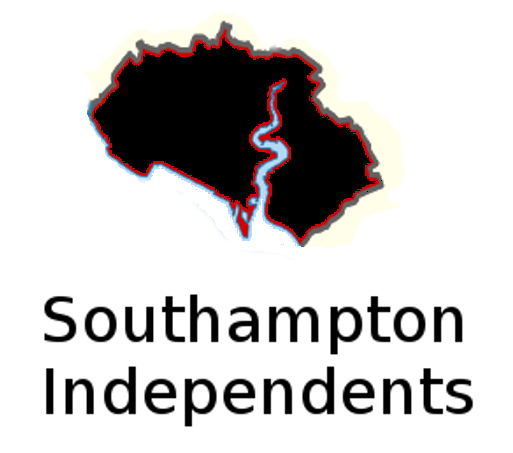 But pressure from us and residents made them change. "As we have said repeatedly before on our website and in the media, and proved by our actions, we will hold the Council to account until all sprinklers have actually been installed. The Labour-run Council is still delaying and dithering actually doing what they promised." Sadly, it isn't the law that sprinklers have to be installed in all tower blocks - only for new ones. On this website, and via our social media, we supported a petition created by Southampton resident Tracy Cutler earlier this year, which rightly achieved a lot of signatures after the Grenfell Tower tragedy. Sadly that petition did not directly lobby the Government and has not resulted in a change to the law. The Tory Government, like the Labour Council, is dithering and delaying. The enquiry into Grenfell has only just started, months after the tragedy. So we have created a new petition on the Government petition website. "We want to force the Government to change the law to make sprinklers compulsory in all tower blocks, new or old. Join the other concerned people who have signed it already. And please get your friends and family to sign it too."